Because we believe in the value of good, old-fashioned honesty. There are a lot of window peddlers out there trying to sell you a window for hundreds of dollars more than it’s worth. We’ll be upfront and honest with you every time. Most windows are made in the same factories around the country, but you’ll find our windows at much lower prices for the same windows those big-box stores are selling, and with stellar installation service to match! Whether you want to update the look of your home, increase it’s curb appeal, replace cloudy windows, or improve your home’s energy efficiency, we’ve got the windows that can do the job at a fair price. At the Window Source of Birmingham, we can sell you great windows hundreds of dollars cheaper than our competitors. How? 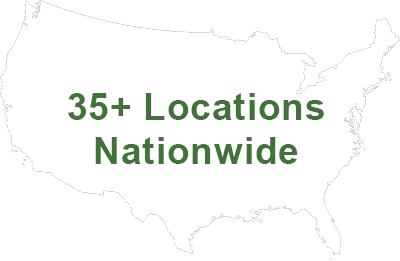 We have dozens of affiliates around the country so we can make more windows at one time and lower our own cost— savings we pass on to you. We also don’t try to sell you on all the bells and whistles you don’t really need. Our goal is to give you the information you need to make an informed decision about what’s right for your home. If that means our deluxe 9000 series windows, that’s great. But if it means our budget 3000 series windows, that’s great, too! Let us help you boost your home’s energy efficiency, keep the hot summers out and your air conditioning in, and make your home the envy of the neighbors with attractive and energy-efficient new vinyl windows. Call (205) 451-6646 or Contact Us to start a conversation about windows in your home. By far the best! Thank you so much for being so honest, reliable and clean. Beat everyones prices I had quoted to me. Thank you, thank youth my friend Todd Weigel for replacing my window (that i had to break because i locked myself out of my house. ??). Looks Awesome!! The Window Source of Birmingham believes that buying windows shouldn’t be complicated. We believe in giving you the facts, without all of the hype. And we believe that by selling windows for a fair price, we will become the most successful company in Birmingham.